The perfect summer holiday according to everyone is different. Some people imagine their vacations at sea like a real summer adventure that is filled with many exciting adventures, while others are just willing to stretch on the beach and to relax… If all of us needed one and the same type of holiday, as well as one and the same destination to visit, then on the tourist market there wouldn’t be so much variety. 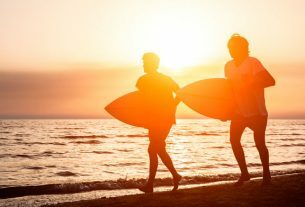 If you now start looking for some summer resort, or for a place where to spend your leave of absent, will see over hundreds beautiful destinations as each of them is more wonderful than the previous one – and that could completely confuse you! Before to start the essential part of our today’s article, we would like to tell you which is the most exciting moment of every trip. And this is the moment of expectation! Yes, that’s right, the moment when you are traveling and when you have no patience to reach your destination while wondering what you will find there and what you will see when you arrive. Enjoy this moment, because every summer holiday is not only a stretching on the beach or a sleeping at the hotel – it is emotion, it is expectation and you have to enjoy all these emotions. They are of great value! As we love all our readers, would like help them in their every trip and that is the reason why we are going to tell you what is the most suitable place in Europe when it comes to summer escapes and unforgettable, family vacations. Bulgaria – the Balkan country that is full of beauty, attractive and cheap, summer resorts and that is one of the few destinations across Europe where you can find great conditions for relaxation, varied possibilities for having fun and great, budget-friendly deals! It is highly developed over the years as a tourist destination due to its incredible, natural resources, mild climate and reasonable prices. There you can go for practicing not only of summer tourism, but of winter tourism too – have in mind that next winter you can visit some of the amazing Bulgarian ski resorts, or just to go to the mountain for having a pleasant family vacation during the spring or autumn! 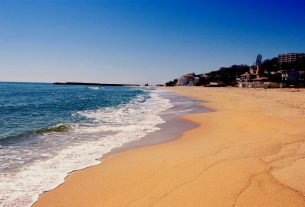 The first summer resort in Bulgaria we would like to recommend you today is the captivating Golden Sands! This place is the pearl of the Black Sea coast, while its name completely corresponds to the vision of Golden Sands due to the incredible golden color of the sand and the picturesque nature of this place… But what a nature you are talking? This is a summer resort and there should be only sea, sand and sun? Did you ask yourself this question J ? Most people react in this way when they hear about the nature of Golden Sands resorts. And that is normal, because we all are used to see only sands and sea when visiting some summer resort. Golden Sands is different and that makes it for being really unique and strongly impressing – but is not this what you are looking for? The resort is the perfect place where you can sunbathe and together with that to enjoy an amazing environment and powerful energy. There is also very cheap and you can afford even a two-week summer vacation for less. And just like the other summer resorts along the Black Sea coast, Golden Sands and the hotels there provide to the tourists a full range of tourist services and amenities! This lovely place is an excellent choice for traveling parents which are willing to spend a pleasant time with their loved ones. It is also the perfect option if you are looking for romantic place where to take your half. All the abounding beauty and pleasant energy will make your summer holiday for two unforgettable and probably your stay in Golden Sands will be the most memorable vacation you have ever had! Since we have mentioned the romance, would like to pay attention to another beautiful and impressing, Bulgarian destination for you to go this summer. This is the city of Sozopol and we believe that everyone who has been there before or just attends to visit this place is on the right way… What we mean? – Well, we meant that this summer destination is simply fabulous and hardly there are many places like Sozopol in Europe! 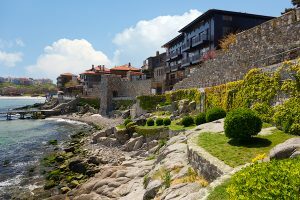 This city is ancient, romantic and is also perfect for people who want to spend a romantic time in private… There you can go for having an amazing vacation for two and just like Golden Sands, Sozopol will charm you with its pleasant energy and excellent conditions for having the best summer vacation ever! Sozopol is a place where everything is beautiful – from the old houses and historical sights to the gorgeous beach and cozy establishments, all you will find there will highly impress you and event in the next summer you will want to go back there again! Some of us have a different vision when it comes to summer vacations (as we have already mentioned). There are people who want to live to the max, to rise up their adrenaline and to take advantage of all the opportunities that the summer provides them… If you are one of them, visit Sunny Beach resort – the hottest point along the Black Sea coast where you can enjoy attractive night life, amazing establishments and huge variety of summer attractions!